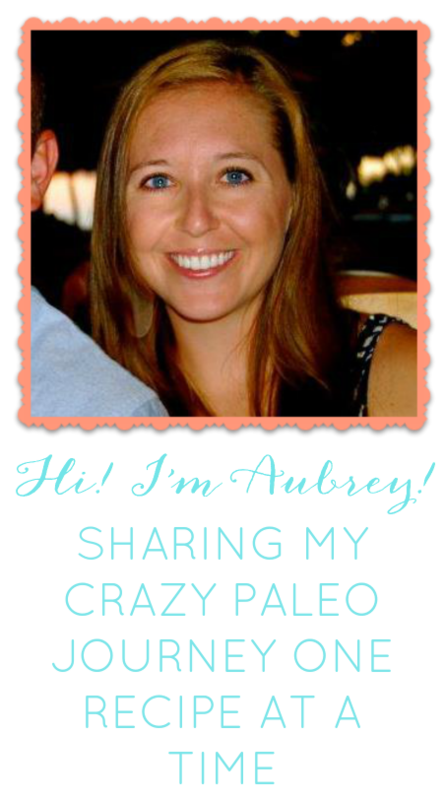 Paleo made Painless: Been too Long! It has been a week since my last post and boy has it been an interesting week. Well this story begins with an idea. 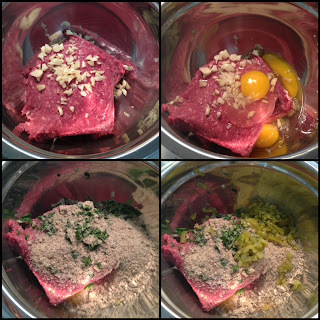 I was driving home one day and came up with, what I believe, an awesome and original Paleo recipe. I am Italian and have some Spanish/Mexican in me so I wanted to combine my two favorite types of food. I came up with a recipe for Mexican Meatballs. 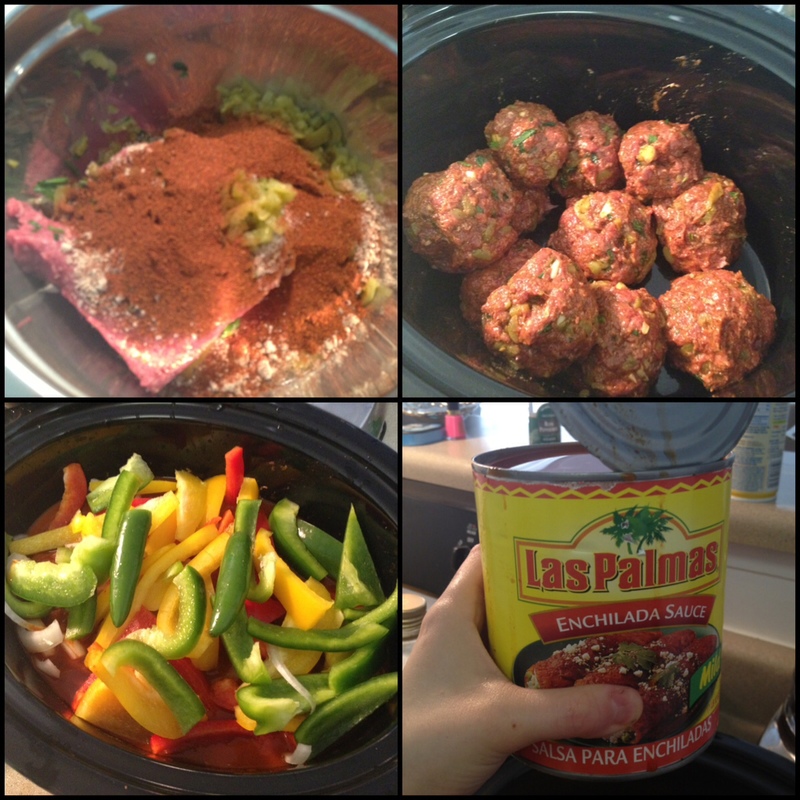 Full of green chiles, spices and in a crock pot with bell peppers and onions. 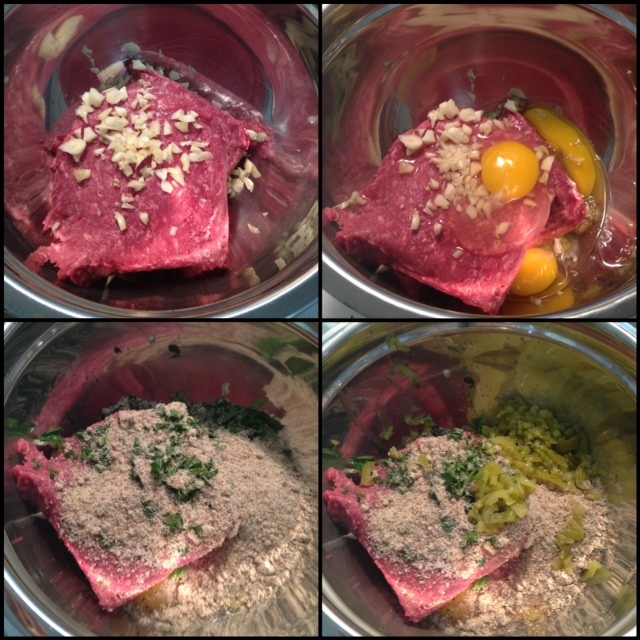 This recipe LOOKED amazing as I was making it. Yup. That is what an ankle looks like 9 months pregnant. A third degree sprain I got while playing soccer. My first thought laying on the field screaming in pain was a curse word I will not type and my second thought was, "Oh shi* and right in the middle of the Open". I think it is time to accept I am no longer a soccer player and instead I am a CrossFitter. Yes- you can do both and enjoy each. BUT you run the risk of spraining the crap out of your ankle in the middle of the Open. Do I even have a remote shot at making regionals? No. But do I prepare and attack each open workout like I do? Yes. So this has really messed up my ability to compete at 100% (yes, I will be attempting all the workouts in a boot and on crutches if I have to). So what have I been doing since this injury? Self medicating with frozen yogurt. I know. I have sucked this week at this challenge. But you know what? I will pull myself together (eventually) and I will get back in the kitchen and gimp my way around cooking and finish this thing. Not to mention eating Paleo will only help with my recovery and inflammation. So now you have read this entire post without one complete recipe. So I will give you this little nugget I have made a few times since seeing it on Pinterest. Parmesan + Avocado + Hot Sauce = YUM. 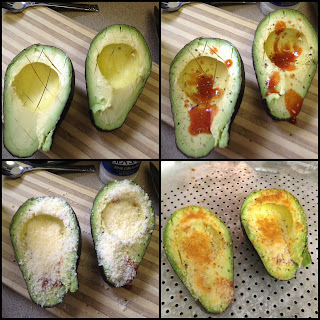 Just get an avocado, slice it a few times, fill it with some hot sauce, top it with some parm cheese and broil that sucker until it melts. BOOM. A delicious snack!! I will do my best (starting tomorrow after just ONE more froyo) to get my life back on Paleo track. It's time. Especially now with an injury that needs me to be healthy. HAPPY EATING!